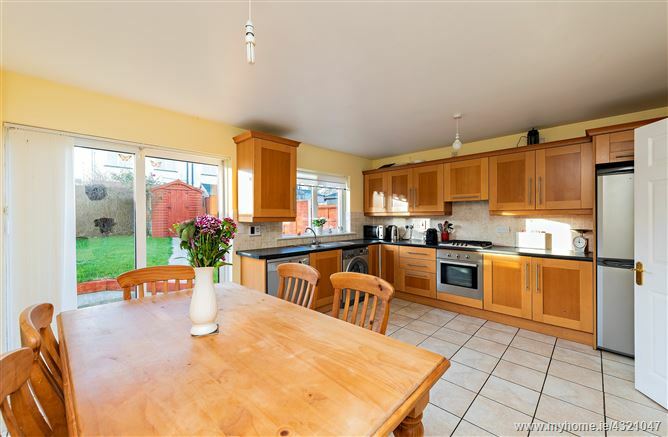 It is not often a property comes onto the open market that will tick all the boxes for a growing family who need their space. 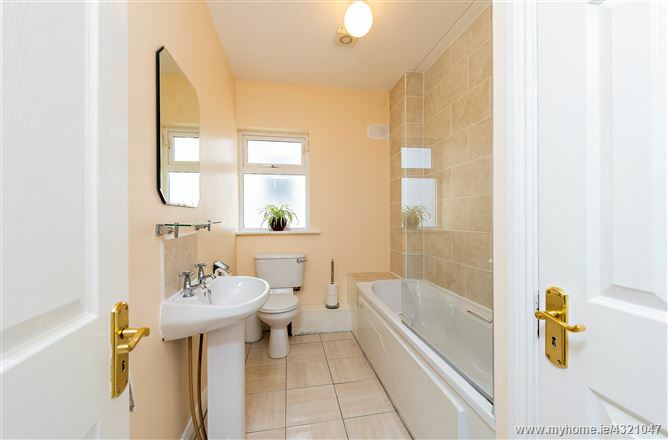 This three bed family home is spread over three floors and is situated in the quiet, mature and very popular development of Castleland Court. 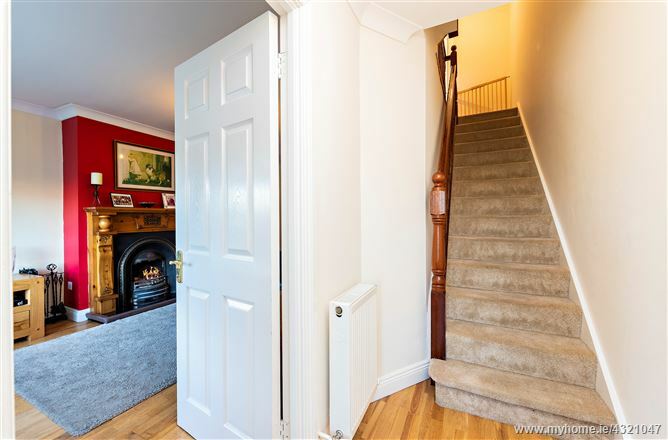 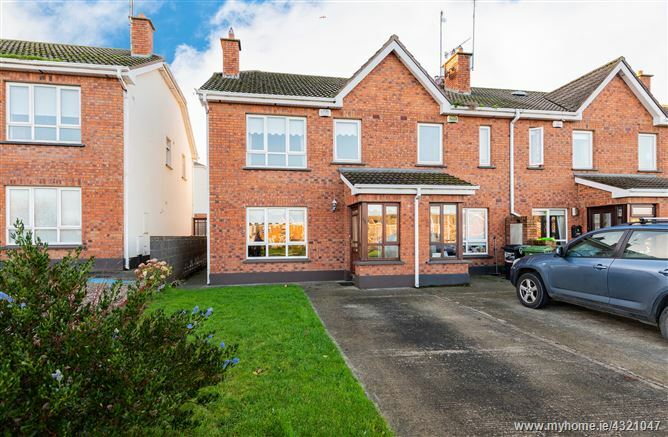 There are many features that this property possesses; a converted attic room, situated in a quiet cul de sac location, overlooking an open green area, extra storage capacity under the stairs to mention but a few. 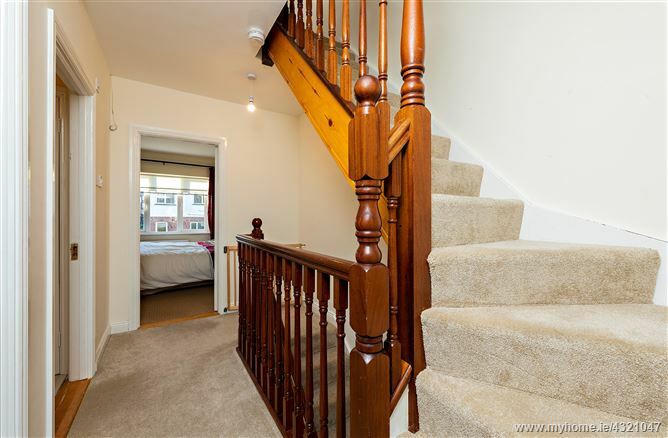 It comes to the market in move in condition throughout. 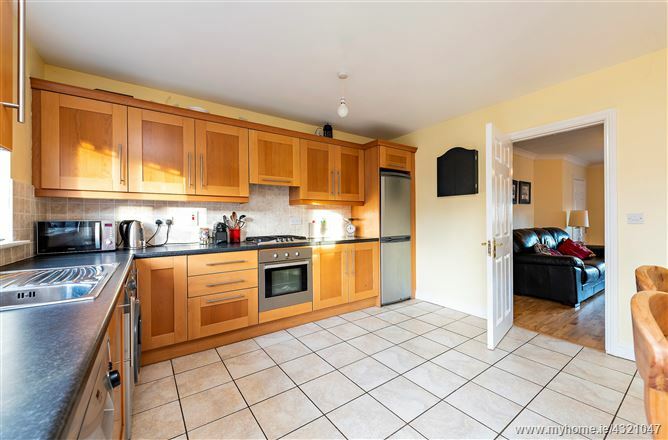 The property has a well maintained rear garden along with a Barna shed for additional storage purposes. 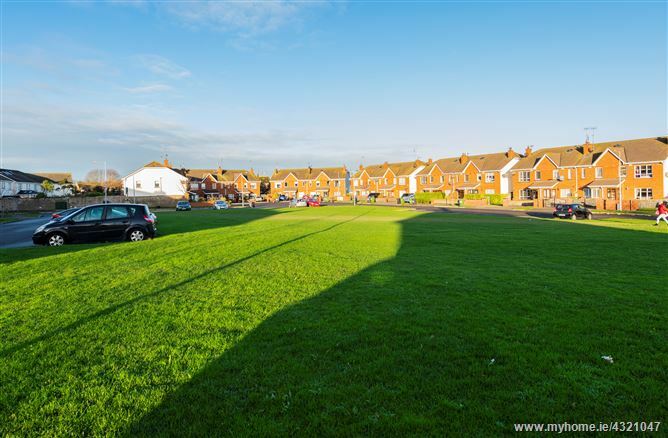 The Castleland Court development boasts the benefit of ample car parking spaces with open green areas. 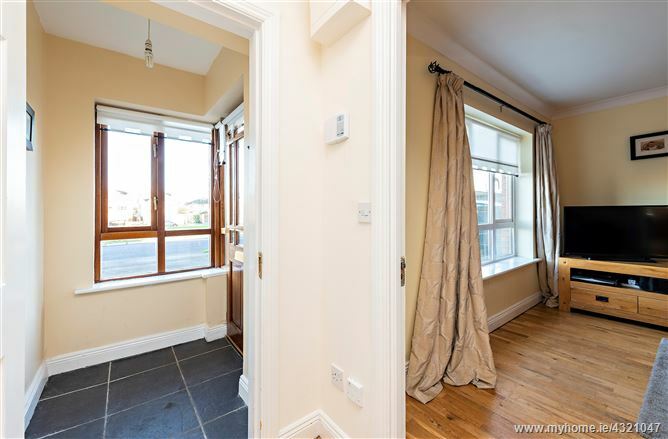 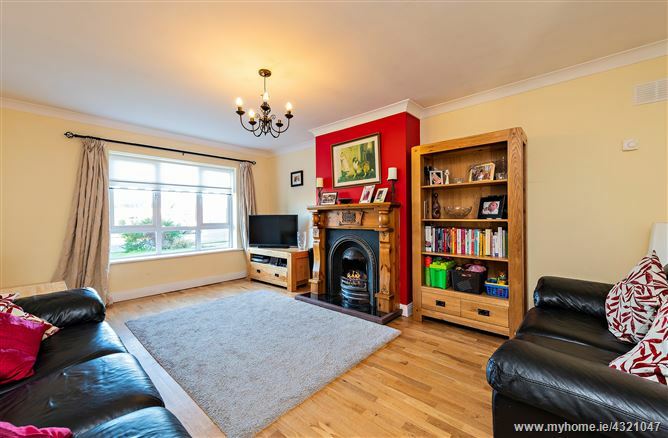 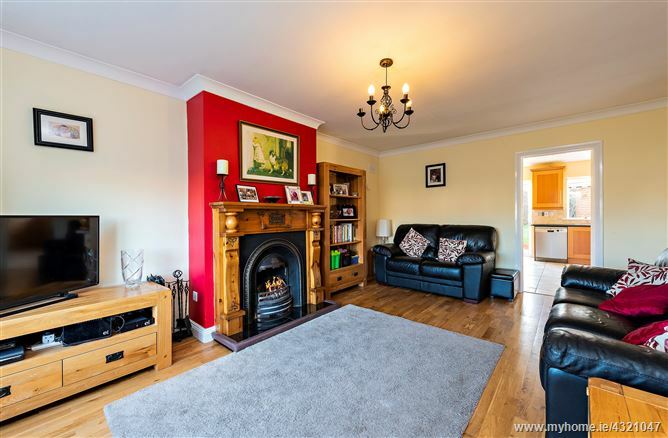 Balbriggan town with its amenities and transport links are short distance away. 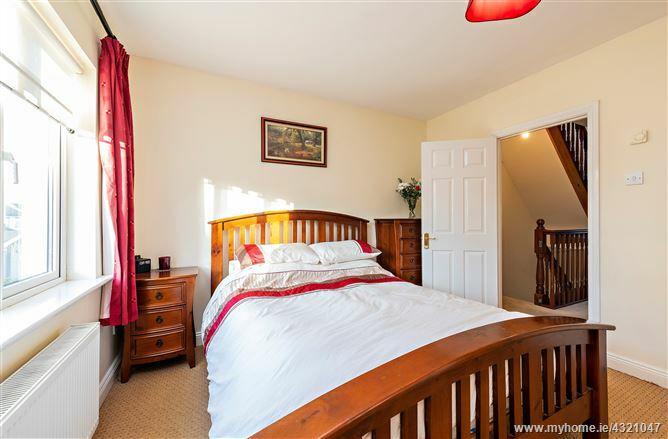 The M1 motorway is a few minutes' drive from the property. 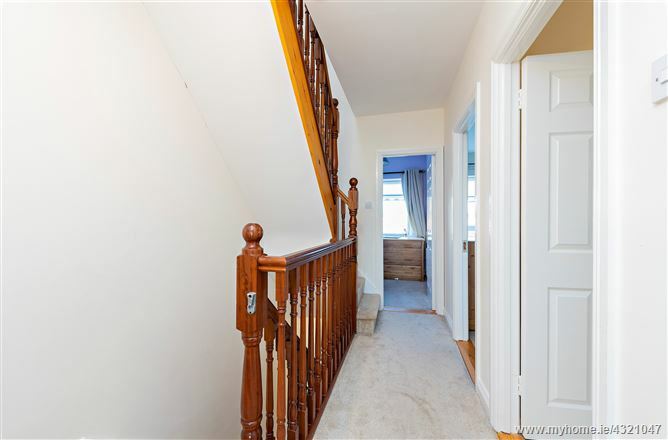 Hallway with a wooden floor, alarm pad and a carpeted stairs to the first floor. 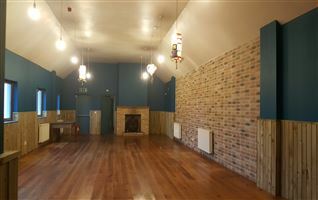 Large room with wooden flooring, a feature fire place with an open fire. 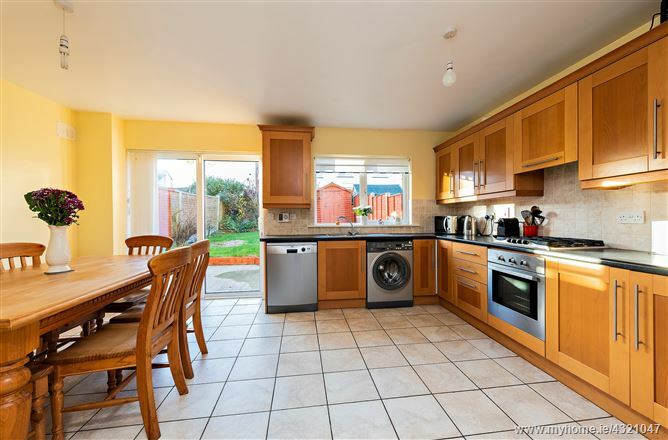 Fully fitted kitchen floor and wall units, tiled floor, stainless steel sink, plumbed for a washing machine, fridge freezer, oven/hob and extractor fan, door to the rear garden. 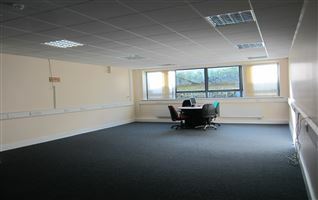 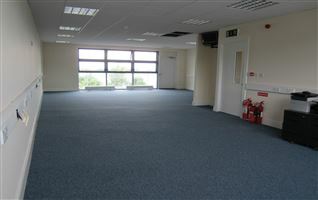 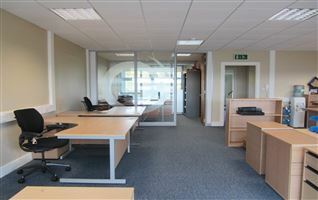 With carpeted flooring and access to the first floor. 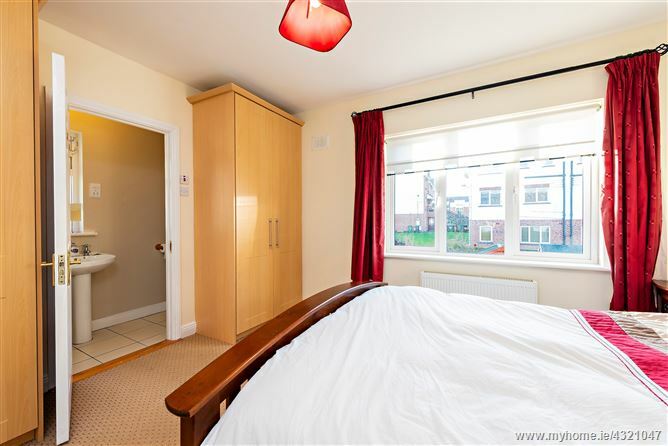 Double bedroom with carpet flooring and extensive built in wardrobes. 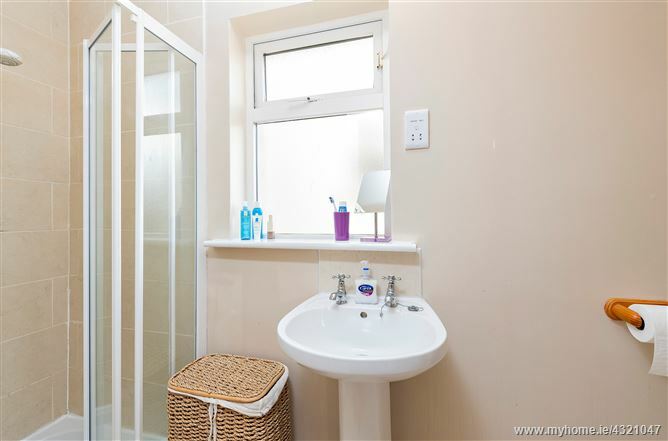 With a wc, wash hand basin, tiled floor and tiled area around the shower and a picture window. 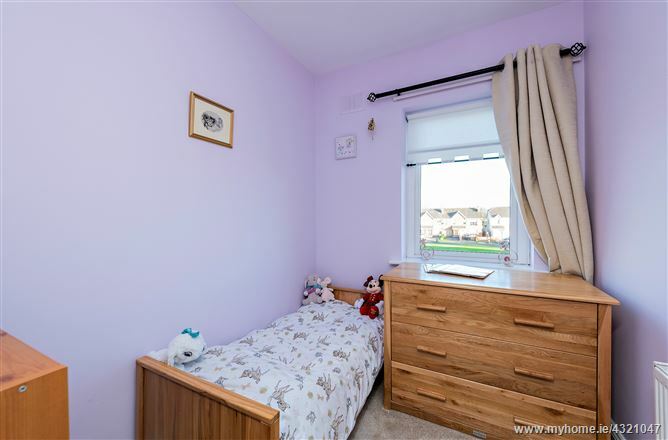 Bedroom with carpet flooring and built in wardrobes. 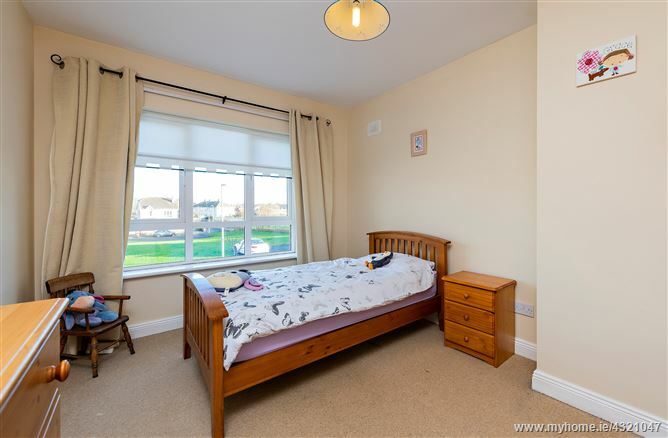 Single bedroom with carpet flooring and built in wardrobes. 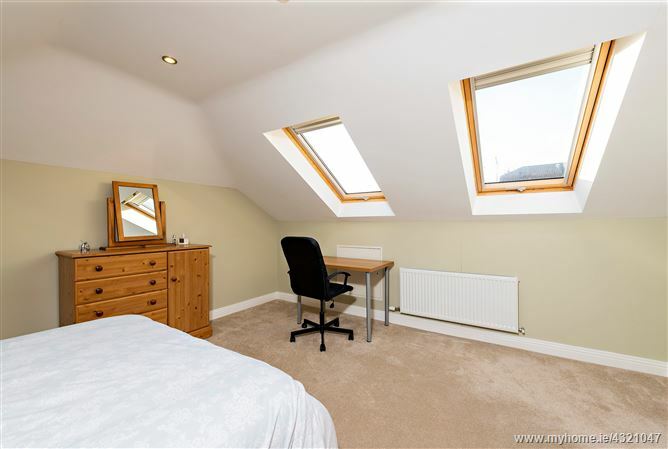 With carpeted flooring, Velux window and access to the second floor. 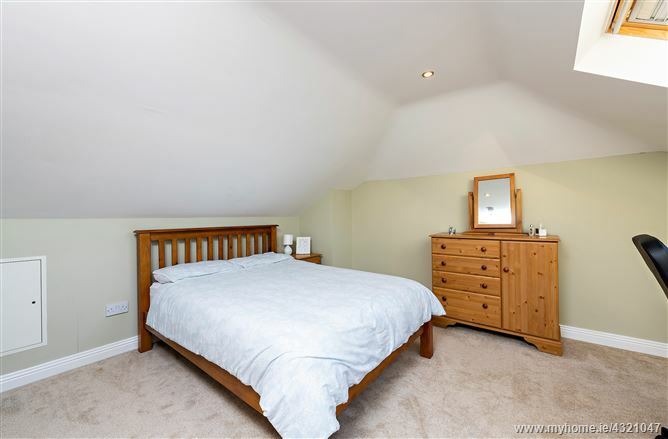 Attic room with carpeted flooring and two Velux windows. 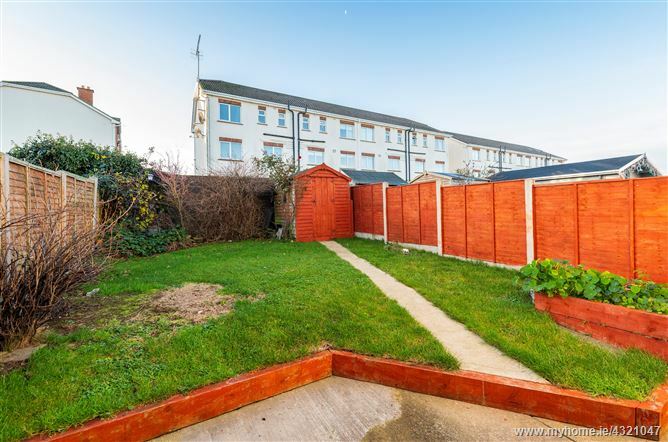 There is a grass area in the front garden along with off street car parking. 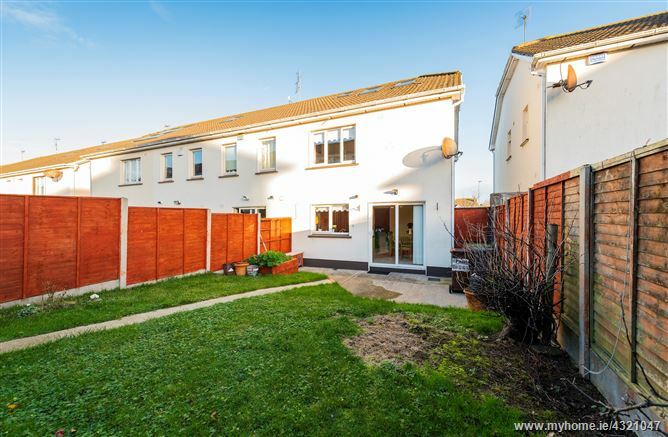 Large fenced garden with patio and grass areas, mature shrubbery and plants. 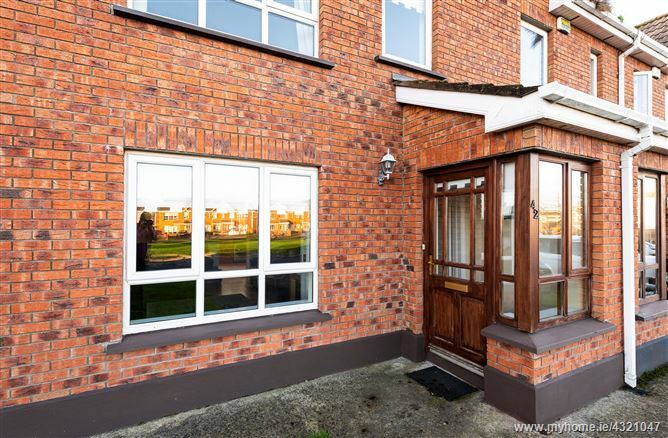 There is a side entrance to the front of the property along with a Barna shed that is used for storage purposes.